Boxing quotes of 2018 part two: Who said what, about who, and when? "This is the final phase of my career and I have a few good years left where I can be involved in massive fights and really leave a legacy in the division's history." James DeGale had already made the history books, but decided to vacate the title that had got him there. "Being north London born and raised, it is in my blood. Wembley just added a fourth lion to the den." 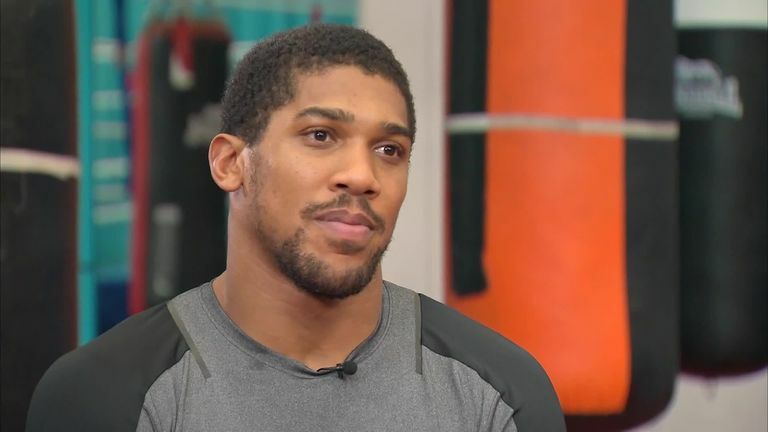 Anthony Joshua was coming home for his next two fights, even if football wasn't. "I've got two belts. Two more to go." "I am my biggest threat on Saturday night, not him. He's irrelevant." Conor Benn was out to prove a point against Cedric Peynaud. "This was my dream. I left on Tuesday and said to my little boy I'd be back in Monday with the belt." Rocky Fielding was indeed the daddy when he went out to Germany and won a world title. "What's AJ, seven right? 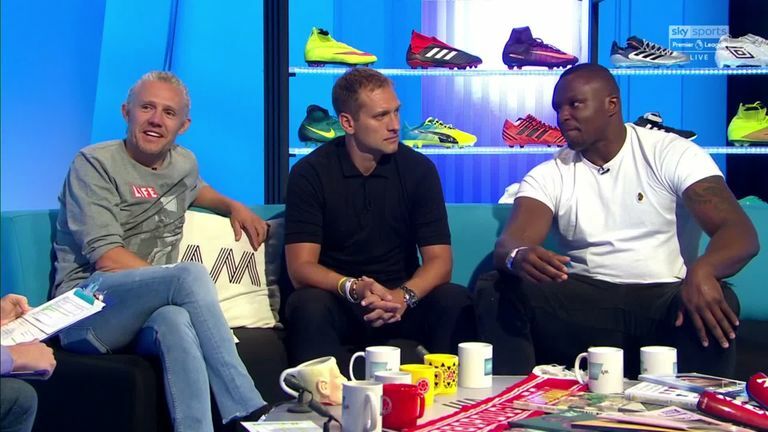 I'm going to knock him out earlier and I'm going to say, 'And what AJ? And what?'." Joseph Parker wanted to turn Dillian Whyte's Can Man into a KO'd Man. "I've never been successful but… well, I suppose I'm not successful at boxing either. But to have 300 fights is an achievement. I've never been knocked out, only stopped on my feet." 'Mr Reliable', Kristian Laight, hit the triple century before eventually earning the right to finally put his feet up. "He's an old man. He's been hurt before and he's been stopped many times. I just have to land one punch on his chin." Samuel Vargas was the latest to join the Amir Khan fan club. "It was a kick from life to awaken me and put my mind on the right trail. I lost my mind when I started to get famous." "It's not actually going to be that hard to get all my belts back. All I've got to do is beat Anthony Joshua and Deontay Wilder. It shouldn't be hard." Tyson Fury went from two comeback wins to his next two targets. "I've won a world title and I have done everything I could have possibly dreamed of - and a bit more. So now I am chasing greatness. I dare to be great." "I worked so hard to become a champion, there was no way I was just going to give up my title." Lee Selby finally opened up on losing his world title to Josh Warrington. "There were times in the fight when I could have pushed on him and probably knocked him out. But the thing is, I need the rounds if I want to move up and fight better opposition." Amir Khan looked onwards and upwards after going downwards and upwards again, to beat Samuel Vargas. "Once he starts his journey in the elite division he would be looking for the heart of the king, and Joshua is the king at heavyweight." Oleksandr Usyk sent a chilling warning, via K2's Alexander Krassyuk, to the blue riband division. "Maybe one day I will get to fight at Wembley. I need to have a fight with a very famous fighter in England. Maybe with Joshua?" "I got my knockout streak back. I found my right hand which had gone missing for a while." Anthony Joshua was literally right after finishing Alexander Povetkin in five at Wembley. "I'm going to get on the phone with Pacquiao after this call see if we can put him in position. There's a lot of good competition out there that he could fight." Floyd Mayweather offered his services to get old foe Manny Pacquiao a fight, either as manager or opponent. "Embarrassing. I've never been hurt by a body shot before like this in my entire career. But all credit to Callum. He deserves this night. We knew he could punch." George Groves went straight into self-critical mode as he lost his the World Boxing Super Series final in Jeddah. "I was on night feed with our new-born and at about 9.30pm. Jamie asked me if it was OK to chat, I said yes and he just said 'Canelo wants to fight you'. I just said, 'yeah mate, sound. Let's do it'." 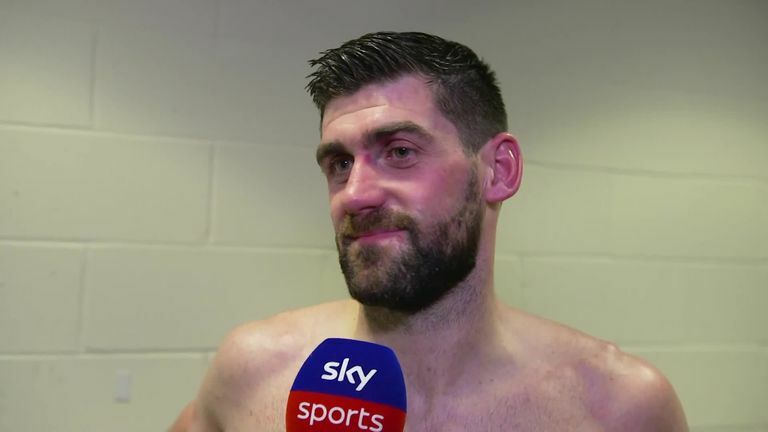 Rocky Fielding was given the chance of a lifetime, in New York just before Christmas. Not just a good night's sleep. "He has had 200 amateur fights, so if he's not ready now he will never be ready and it will just be proof that he doesn't want the fight." Ted Cheeseman celebrated his British title success by igniting a social war - that is still rumbling - with Anthony Fowler. "I came close in that second round but the better man won and he finished the job off, so fair play to him. It's not dented my confidence at all. In fact I think I might have needed that and believe me, I am coming back stronger and better than ever." "Being big is a state of mind. Maybe if Tomas Adamek might invite me over for dinner, we can eat some Pierogis too, polish style. We're going to have fun, baby." Jarrell 'Big Baby' Miller demolished Tomasz Adamek inside two rounds, then hoped to share a meal with his Polish opponent. "This will be my first ever fight that I'm attending so there's no pressure for Lewis!" Alan Shearer's PL debut with Newcastle ended in defeat, as did his boxing first, ringside for Lewis Ritson against Francesco Patera. "This is a project. A tough project, and one that I had to think long and hard about. I had to think: 'do I want this task?' No disrespect but Derek is not the easiest to work with! David Haye and Derek Chisora announced their new partnership, a full two weeks before Trick or Treat. "It's different for both of us. It's like when you get a new girlfriend when you're young; you are trying to impress each other." Kell Brook was back in love with boxing with a little help from his new trainer, John Fewkes. "With those people who have got this opinion how I would get smashed in a round or two, for the sake of them, do I say 'You know what, I'll give up my mandatory and I'll just hope that he vacates'?" Anthony Crolla hit back at the doubters after earning a shot at none other than Vasyl Lomachenko. "He and his team were all very friendly and I wasn't expecting that when, obviously, I am Team AJ, but they were." "I don't think the fight will ever be made, but me and her are definitely neck and neck as far as people may like her style better, people might like my style better, but we're definitely one and two." Claressa Shields was diplomatic but undecided on where her and Katie Taylor stand. "He's a big presence, a big character in the gym, and you know that's it, you're not going to see him anymore in there. 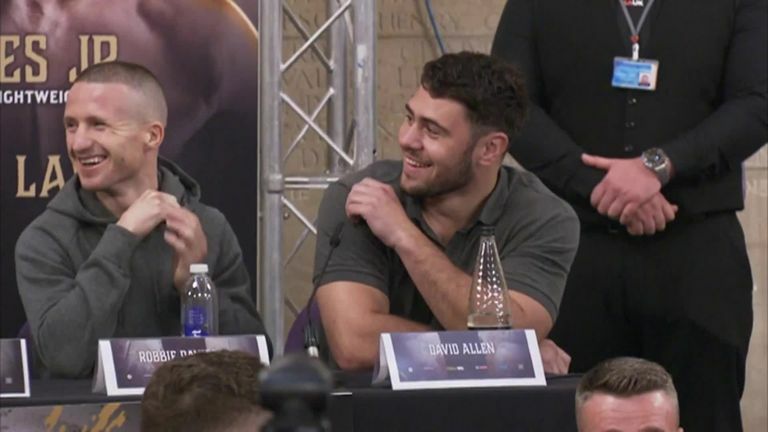 The lads, Jordan Gill and Anthony Fowler, they were the same, everybody felt it." 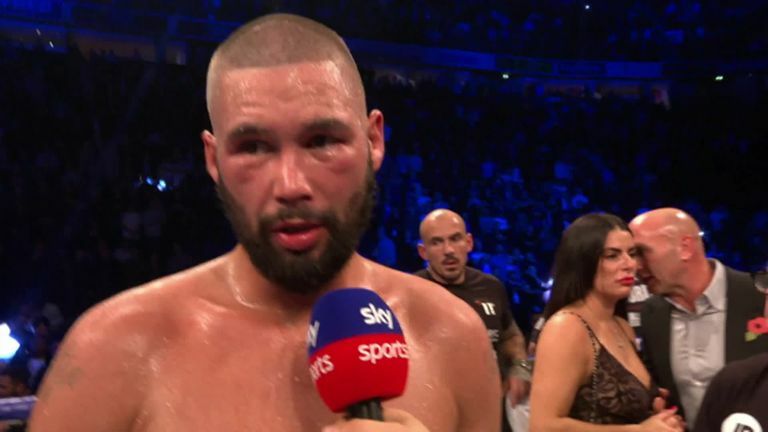 David Coldwell reflected on a "horrible" defeat that saw Tony Bellew walk away from the game... and his gym. 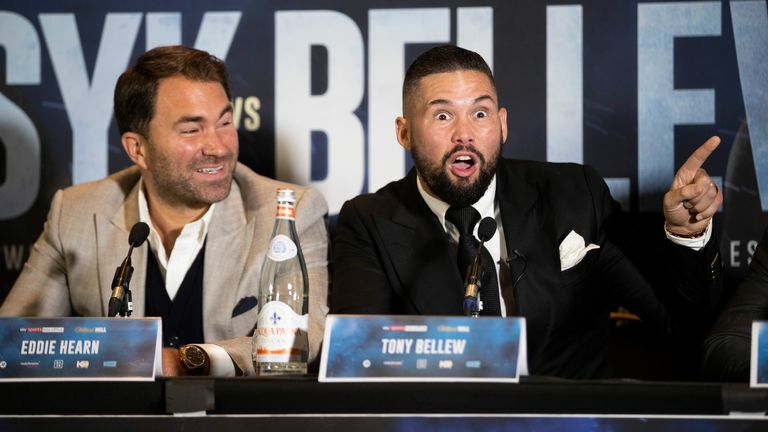 "If they are true to their word, on December 2, if they beat Tyson Fury, we will immediately start negotiations and we'll see where we get to. April 13 is easy, and it's a two-fight deal this time, the offer that we've made. One in America, one in the UK, we cannot say fairer than that." "Credit to him, he caught me flush, but I got up and I don't know how. It was like a phoenix rising from the ashes." Tyson Fury made a remarkable recovery from a 12th round knockdown only to receive a draw with Deontay Wilder. "What can I say? I think he's turned his back completely on the British public, because I've bent over backwards just to make it happen." Kell Brook points finger of blame at Amir Khan for not yet agreeing terms for a long-awaited British battle. "You know what, Dillian is an idiot you know. I just told him straight 'Dillian, I knocked you out clean when we fought, but let's forget about that, because we've both developed, so let's prove who is a better fighter now'." "The tables are screwed down so I can't move them! I won't do that anymore. Our game-plan is to bite the gum shield, seek and destroy." 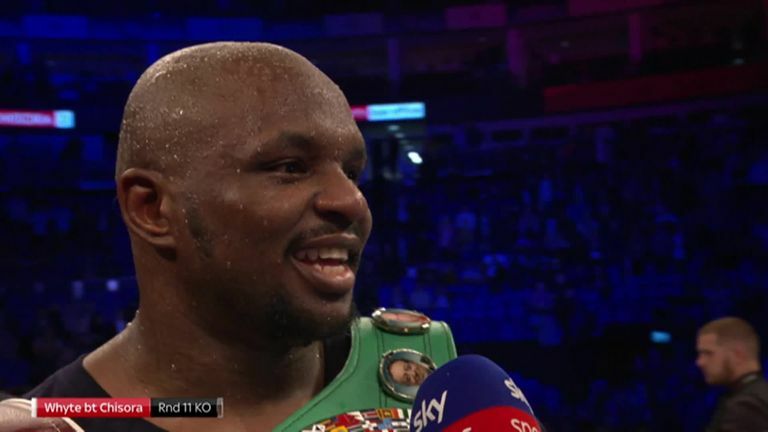 Derek Chisora avoided a repeat of his table-throwing antics, warning Dillian Whyte to expect another brutal encounter. "That's for you mum. When she was ill, she told me never to give up on my dream. I never stopped believing. I want to unify the division next, I'm ready for anyone and everyone." Charlie Edwards could not contain emotion after defeating Cristofer Rosales to claim the WBC title - and predicted more big fights in 2019.